Episode 10 of the Birkie Web Today Podcast has published. 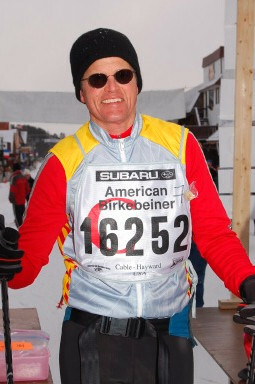 In this episode I interview Dave Mathews, who is a long-time bicyclist and found Nordic skiing as a great winter activity while living in Omaha, Nebraska in 1982. He is an active member of the Kansas City Nordic Ski Club. Dave, who lives in Prairie Village, Kansas which is a suburb of Kansas City, has been bicycling for 35 + years. He has been a long-time member of the Kansas City Bicycle Club, serving as a past club president and chairman of racing. Dave races in several road and cyclecross and sometimes mountain biking events each year. He is a Civil Engineer with the US Army Corps of Engineers and graduated from Iowa State University and the University of California Berkeley with both degrees in civil Engineering. Dave began Nordic skiing while living in Omaha, Nebraska and has completed eight Birkie and two Kortelopet races as well as three City of Lakes Loppett races as a classic skier. He is an active member of the Kansas City Nordic Ski Club. In the podcast Dave shares his secrets to staying in shape for skiing the Birkie when there is not much on-snow time. Something many Birkie skiers face. Episode 26 of the Air Medical Today Podcast for December 18, 2010 has been published. In this episode I interview Dr. Mike Abernethy, the Chief Flight Physician with University of Wisconsin Med Flight Program and an associate professor with the University of Wisconsin School of Medicine and Public Health. Dr. Abernethy is one of the few physicians in the country who works on a regular basis as a flight physician. His passion is taking care of critically ill patients in diverse and even sometimes hostile environments. This interest in EMS started in his early teen years with the TV program “Emergency” and is still strong over 40 years later. While pursuing a college education at The Ohio State University he became an EMT and also joined the national guard with a helicopter aviation unit. After several career changes, he ended up in medical school at the University of Cincinnati. Mike completed his residency in Emergency Medicine at the University of Chicago where he was the first chief aeromedical resident for the University of Chicago Aeromedical Network. He has worked as a flight physician with the University of Wisconsin Med Flight program since 1992 and has been the chief flight physician for the last two years. Dr. Abernathy is on faculty of the University of Wisconsin Emergency Medicine Residency Program where he says he is helping to train the next generation of emergency physicians. He is also a member of the board of directors for the Air Medical Physicians Association. 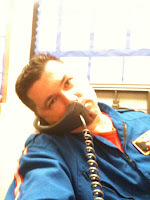 Mike has worked in almost every aspect of the Helicopter EMS industry. He has been a referring community physician, receiving trauma center physician, ground EMT, and the medical director for several ground ambulance and helicopter EMS programs. With over 21 years and several thousand patient transports, he is one of the most experienced flight physicians in the United States. This gives Dr. Abernathy a very unique prospective on prehospital care which includes to this day 7-10 helicopter shifts a month. Dr. Abernethy’s opinions are from his viewpoint as both an experienced Emergency Medicine physician and prehospital care provider. He knows very well that the real life medicine “in the ditch” can be very different than anything found in protocols and/or textbooks. He is a well known speaker at many regional and national Emergency Medicine and EMS conferences. His publications and lectures on Helicopter EMS standards and utilization are a frequent source of controversy within the EMS community. Episode 25 of the Air Medical Today Podcast for November 14, 2010 has been published. In this episode I interview Dr. Bryan Bledsoe, an emergency physician, researcher, and EMS author. Due to the potential controversy with the interview I also asked a number of individuals from our entire air medical community what questions they would ask Dr. Bledsoe. I incorporated some of the questions into the interview and thank them for their time in sending them to me, as it was much appreciated. Dr. Bledsoe has served as the Medical Director for two hospital emergency departments as well as for EMS agencies in north Texas. He is the author of numerous EMS textbooks including: Paramedic Care: Principles & Practice, Paramedic Emergency Care, Prehospital Emergency Pharmacology, Anatomy and Physiology for Emergency Care, and many others. He is a frequent contributor to EMS magazines and presenter at national and international EMS conferences. 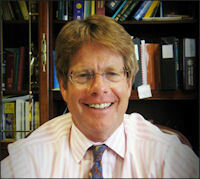 Dr. Bledsoe is often interviewed by the national media including The New York Times, The Wall Street Journal, USA Today, The NBC Nightly News with Brian Williams as well as regional papers and media outlets. Dr. Bledsoe is Clinical Professor of Emergency Medicine, Department of Emergency Medicine, at the University of Nevada School of Medicine and the Department of Emergency Medicine at University Medical Center in Las Vegas. He is co-chair of the Curriculum and Evaluation Board (CEB) for the United States Special Operations Command (USSOCOM) at MacDill Air Force Base in Florida. Dr. Bledsoe was recently named a "Hero of Emergency Medicine" by the American College of Emergency Physicians as part of their 40th anniversary celebration. He was also named a "Hero of Health and Fitness" by Men's Health magazine in November of 2008 as part of their 20th Anniversary issue. He is married and lives in Midlothian, Texas as well as Las Vegas, Nevada. He enjoys salt-water fishing. Episode 24 of the Air Medical Today Podcast for October 30, 2010 has been published. This episode is a bit different than previous ones, as I have recorded a number of the Past Presidents of the Association of Air Medical Services. Through their own voices you will hear some of the critical issues, challenges, and accomplishments during their presidential tenure. This podcast is being done in celebration of the 30th Anniversary of AAMS and includes a fun quiz on the history of the association that includes prizes. Through my work with the AAMS Communications and Public Relations Committee we had helped the staff in planning some of the activities for the association’s 30th Anniversary this year. I volunteered to record the voices of the past presidents of the association so that listeners can hear from them in their own words. This has been a really fun project because I got to meet and talk to many of the past presidents that I did not know or did not know very well. 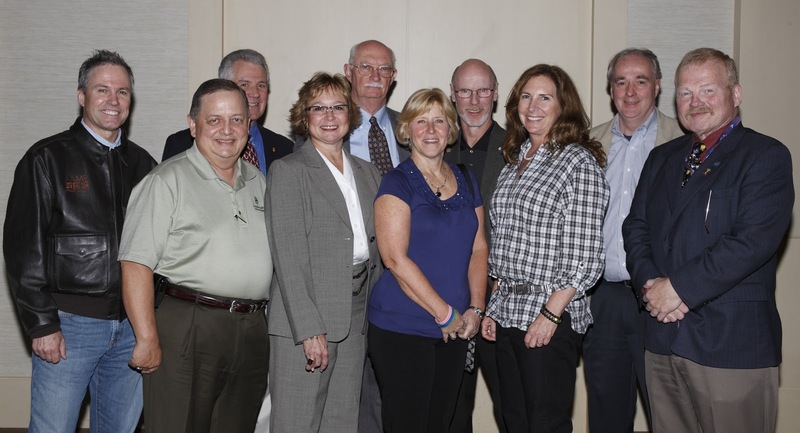 Pictured on the left on Sunday, October 11, 2010 at the Air Medical Transport Conference from left to right are, Back Row: Dan Reich, Jim Smith, Greg Powell, and Tom Judge and Front Row: Ed Eroe, Ford Kyes, Connie Eastlee, Denise Landis, Sandy Kinkade, and Dan Hankins. With the help of the AAMS staff and others in locating everyone we still were not able to contact all the past presidents but I know you will still enjoy hearing many of the ones that are included. Pictured to the left on Monday, October 12, 2010 outside the Exhibit Hall at the Air Medical Transport Conference are from left to right, Connie Eastlee, Dan Reich, Denise Landis, Frank Thomas, Dan Hankins, Jim Smith, Sandy Kinkade, and Ed Eroe. Both pictures were taken by Mark Mennie. A Survey Monkey Quiz of AAMS History can be found at this link: AAMS Survey Monkey Quiz. The first four individuals that answer all the questions correctly will receive a gift certificate from RoadID who is sponsoring the quiz. RoadID is trying to get the word out to all EMS and Pre-Hospital Personnel so that we are all aware of cyclists, skiers, runners, and other athletes wearing their identification for which you can obtain very helpful personal and medical information. For information on their many safety related products go to RoadID.com. A big thanks to RoadID for providing the gift certificates for the quiz! Episode 23 of the Air Medical Today Podcast has been published. In this episode I interview Doctor David M. Lam, Adjunct Associate Professor at the Center for Trauma and Anesthesiology Research at the University of Maryland School of Medicine who talks about his 30 years of research on the history of air medicine. There are also interviews of Dawn Mancuso and Jonathan Godfrey on the Air Medical Transport Conference and Vision Zero in the First Response section. Dr Lam attended Carleton College, in Northfield, Minnesota, where he received a BA in Government and International Relations. He received his MD degree from the University of Minnesota in 1972, and also earned a Masters Degree in Public Health from the University of Texas. He is Board-certified as a specialist in Aerospace Medicine, and is a Fellow of the Aerospace Medical Association, the American Academy of Family Physicians, and the American College of Physician Executives. David has also been elected as an Academician of the International Academy of Aviation and Space Medicine. 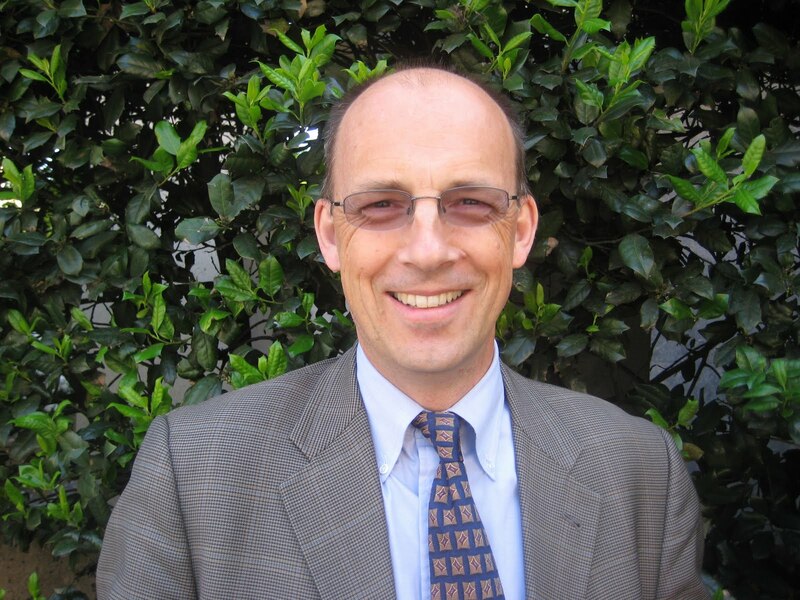 He is licensed/registered as a physician both in the United States in Alaska and in the United Kingdom. Colonel Lam was commissioned in the United States Army in 1971 and served in a wide variety of assignments, including one tour in Korea, two in Alaska, and two in Germany, in addition to his last military assignment at NATO Headquarters in Brussels, Belgium. He served in many clinical, staff, and command positions throughout his career, including as commander of 3 hospitals, Corps Surgeon, Research Area Director, Surgeon for a Joint Task Force in combat, and additionally as Task Force Surgeon for U.S. humanitarian operations in Rwanda and Zaire. Dr. Lam’s final military assignment was as Medical Staff Officer at NATO Headquarters. He served for an unprecedented 5 years at the request of the NATO medical community and was the impetus for some of the greatest changes in Alliance medical doctrine since its creation. David retired from the active Army on July 1, 2001, and now serves as Adjunct Associate Professor at the Center for Trauma and Anesthesiology Research of the University of Maryland School of Medicine. He has been seconded to the U.S. Army Telemedicine and Advanced Technology Research Center in Ft. Detrick, Maryland where he serves as the European Liaison Officer, responsible for maintaining links to researchers in Europe, including with the NATO Medical Community, the European Space Agency, and the European Commission. He works primarily in the areas of telemedicine standardisation, project development, and deployment of systems, mostly in the NATO and Partnership For Peace nations. He serves as the Secretary for the NATO Telemedicine Expert Team, which is charged with developing policies and procedures which will enhance the multinational interoperability of Telemedicine systems in a multinational operational environment. Additionally, he serves on several other Research Task Groups for the NATO Research and Technology Organisation, including one on the use of Unpiloted Aerial Vehicles for Casualty Evacuation. He and his wife have lived in Brussels, Belgium, for 15 years. They have two children and four grandchildren. Starting as a young Flight Surgeon in the Army, is when he first became involved in Aeromedical evacuation and has been fascinated with the complex history of the development of Aeromedical evacuation ever since. He has been researching and writing on this subject for more than 30 years, and is now considered one of the world’s foremost experts on this subject. His current project is research for a biography of Mademoiselle Marie Marvingt of France, who has been described as “The Godmother of Medical Aviation”, and who was the first certified Flight Nurse. Dawn Mancuso, Executive Director of the Association of Air Medical Services provides an update on the upcoming Air Medical Transport Conference being held October 11-14 in Ft. Lauderdale, Florida including the 30th Anniversary activities. Jonathan Godfrey provides an update on AAMS Vision Zero activities including events at the Air Medical Transport Conference. All EMS Staff should be aware of RoadID and be sure to look for it when treating cyclists, skiers, runners, and other athletes. RoadID is an excellent source of personal and medical information. Episode 22 of the Air Medical Today Podcast has been published. In this episode I interview Scott Kunkel, a paramedic, flight nurse, and an air medical executive who will be talking about Updates on New Developments in EMS and Their Impact on Air Medical Services There is also an update on three recent air medical transport crashes and a First Response Interview of Edward Wimmer and P.J. 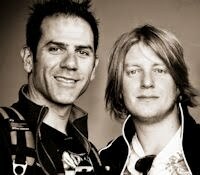 Rabice the Co-Founder and Director of Marketing Respectively for RoadID. Scott Kunkel has been involved in transport medicine for the past twenty three years and has worked for a variety of organizations in both clinical and leadership positions. His experience includes pre-hospital emergency ALS, critical care ground transport, and rotor wing and fixed wing air medical transport. Scott holds a MBA with a concentration in Healthcare Administration and a Bachelor’s of Science Degree. 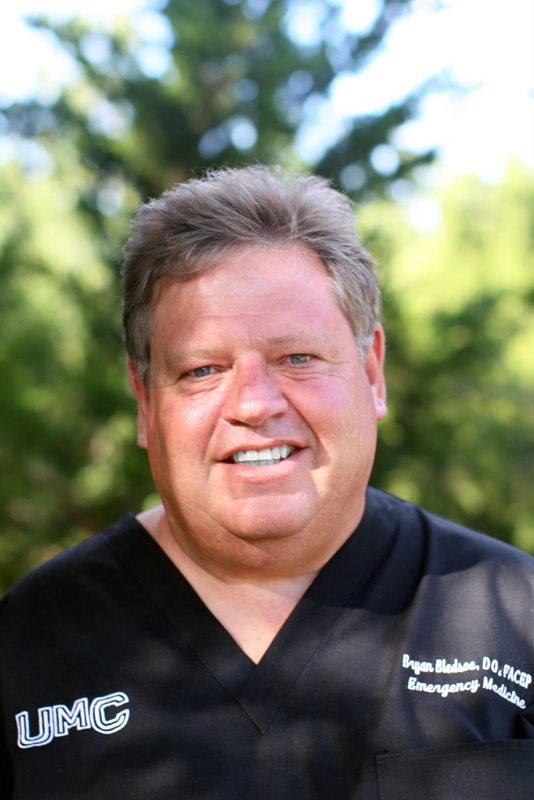 He is a Certified Medical Transport Executive, Certified Flight Registered Nurse, and Flight Paramedic-Certified. Scott is currently employed with air medical organizations in Ohio and Michigan. 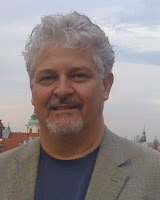 He is a site surveyor for the Commission on Accreditation of Medical Transport Systems and maintains memberships in the American College of Healthcare Executives, The Society for Healthcare Strategy and Market Development through the American Hospital Association, and a number of clinical associations. 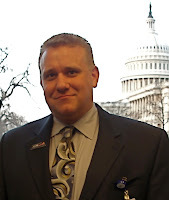 Scott is an item writer for the Board for Critical Care Transport Paramedic Certification and is a member of the Advisory Board for RSQ911 Solutions LLC, an organization that is dedicated to improving service and operational performance of critical care transport providers. 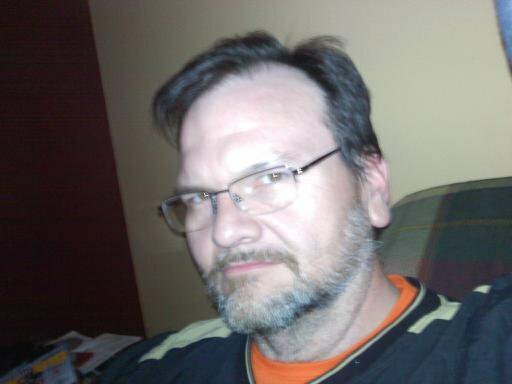 Scott hales from Toledo, Ohio and currently is residing in Medina, Ohio. Edward Wimmer is the 32 year old Co-Founder of Road ID which was started with his father, Mike Wimmer, out of his dad's basement. As the de facto CEO of Road ID, he oversees all of the day-to-day operations of the company while focusing on their long-range initiatives and budgeting. P.J. Rabice is the 37 yr old Director of Marketing and Strategic Partnerships at Road ID. He spends the majority of his time managing the advertising and PR agencies as the company identifies new opportunities for growth, overseeing the company's social media presence, and working with their brand ambassadors. Prior to coming to Road ID he worked for a sports marketing agency as Account Director. This recording was done as part of the Kansas Cyclist Podcast, which I do in collaboration with Randy Rasa the webmaster for the KansasCyclist.com website. I wanted to play a portion of their interview because Edward and P.J. are trying to get the word out to EMS agencies about looking for the RoadID Identification on athletes that they may need to treat. RoadID provides important health and emergency information and I have personally been a user and promotor of their product for 2 years now. Episode 21 of the Kansas Cyclist Podcast for June 15, 2010 includes an interview of Andy Clarke who is the president of the of the League of American Bicyclists. 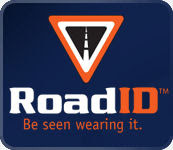 We also, catch up with a few cyclists that are Biking Across Kansas during their tour, and finally we talk with the folks at RoadID about their personal identification products for cyclists. Andy Clarke has more than 25 years of experience in cycling advocacy. He is currently the president of the League of American Bicyclists, whose mission is to promote bicycling for fun, fitness and transportation and work through advocacy and education for a bicycle-friendly America. 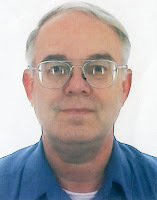 His past experience includes stints at the Rails to Trails Conservancy, the Association of Pedestrian and Bicycle Professionals, the Bicycle Federation of America (now the National Center for Bicycling and Walking), and as a consultant to the Federal Highway Administration. Andy’s passion for cycling started when he was growing up in England, and has stayed with him through hundreds of thousands of miles of cycling on four continents. He is recognized as a policy expert on almost every aspect of bicycling, and still enjoys a tough climb on his Trek touring bike better than anything else. After the Bike League released their recent Bicycle Friendly State rankings, in which Kansas made a huge leap, from the 33rd most bike-friendly state, to the 13th. Although this was great news for bicycling in Kansas, we were frankly a bit puzzled by the big jump. Andy fills us in on how the Bicycle Friendly State program works, as well as the related programs such as Bicycle Friendly Communities and Bicycle Friendly Businesses. We also discuss the League Cycling Instructor (LCI) program, which offers instructors and classes to help people ride their bikes safely and confidently on our roadways. This is a fascinating discussion, and not just the details about how the programs work, but the larger picture, of how America as a whole is moving toward becoming a much better place to ride our bikes. This is an exciting time! We’d like to welcome RoadID aboard as the latest sponsor of the Kansas Cyclist Podcast. In this episode we talk with RoadID co-founder Edward Wimmer (shown on the right) and Director of Marketing P.J. Rabice (left) about the RoadID a product line, how the company was started, and how their products benefit cyclists, runners, and other athletes. RoadID is an innovative personal identification product that you wear around your wrist, around your neck, or attached to a shoe. In the event of an accident, if you can’t speak for yourself, your RoadID will. It contains all the information first responders, such as police and EMS, need to get you the medical attention you need, and to contact your loved ones. RoadID has kindly provided gift certificates, which we’ll be passing along to podcast listeners in the coming months. We’re still working out the details, so stay tuned to upcoming episodes. In the meantime, check out the RoadID product line, which includes not just the wearable identification, but safety accessories such as lighting and reflective products, as well as RoadID apparel. Both Randy and Ed, co-hosts of the Kansas Cyclist Podcast, have been RoadID customers for a long time, and neither of us will go for a ride without this critical piece of safety equipment. We think it’s that important. The Biking Across Kansas tour wrapped up their week-long ride across the Sunflower state last weekend, and the podcast team got the chance to ride along for part of one day. In our “On The Scene” segment, we check in with BAK riders Mark and David Rainey, Robert Garcia, and Tim Oberle and let them share a bit about their experiences on the tour. This post is copied and adopted from Randy Rasa's Show Notes for Episode 21 of the Kansas Cyclist Podcast. Episode 21 of the Air Medical Today Podcast has been published. In this episode I interview Tammy Chatman, who is the Professional Relations/Marketing Manager and Public Information Officer for the Flight For Life Transport System's McHenry, Illinois base who will be talking about Public Relations and Marketing. There is also an update on the CareFlite crash on June 2, 2010. Tammy has 20 years experience in the air medical industry as a Professional Relations/Marketing Manager and Public Information Officer for the Flight For Life Transport System's McHenry, Illinois base. She is the vice chair of the AAMS Communications and Public Relations Committee and the Region 5 Director of the National Information Officers Association. Tammy has presented on local, regional and national level on topics ranging from helicopter safety, post accident/incident planning, to patient/family advocacy. In 2006 she authored the chapter on "Post Accident/Incident Planning" for Principles and Direction of Air Medical Transport. 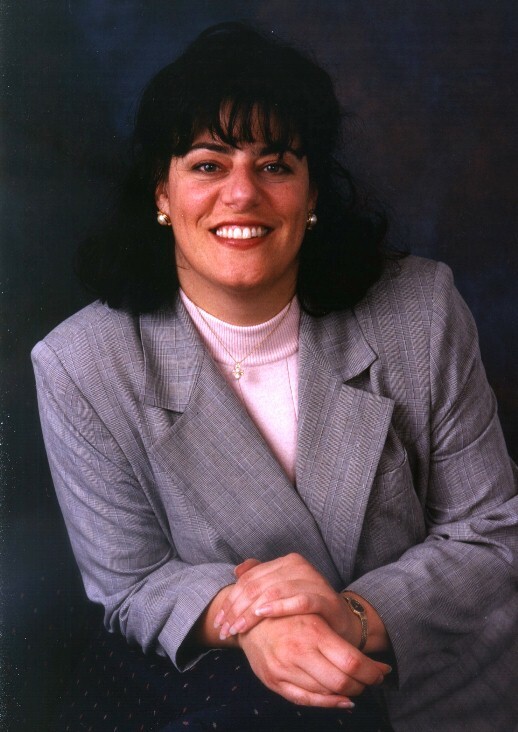 Tammy graduated from the University of Tennessee at Knoxville with a bachelor of science degree in 1981 and obtained her CMTE from the Medical Transport Leadership Institute in 2008. She lives in Eagle, WI with her horse Dante and dog Cyrus. Tammy travels to the Western United States to hike and snowshoe any time the opportunity arises. Episode 20 of the Air Medical Today Podcast has been published. In this episode I interview of Steve Johnson, Director of Government Affairs and Industry Relations for PHI Air Medical who talks about EMS and Air Medical Education. There is also an update on the CareFlite crash on June 2, 2010. Prior to joining PHI Steve was the Director of Business Development at Clarian Health and was employed previous to that as the Director of Clarian Critical Care Transport and LifeLine. LifeLine is the transport service for the third largest health system in the United States and they provide rotor wing, fixed wing, and ground transportation services. Steve first became involved in healthcare through the Skyland Volunteer Fire Service in 1988. His first entry into critical care transport came as a Paramedic and Communications Specialist with Mission Hospitals in Asheville, North Carolina in the early 1990s, eventually serving on several steering committees for the North Carolina Office of EMS, authoring a portion of the EMS Instructor curriculum, and helping write the guidelines for Critical Care Transport for the state. He served as Chief Flight Paramedic at the University of North Carolina Hospitals and helped to further develop the critical care ground transport program for the hospital, and then worked as a transport nurse and EMS Coordinator for Duke Life Flight. In each of these roles Steve served on several state and national committees involved in shaping EMS education. Education has always been a passion for Steve. He was a full time EMS Faculty Member at A-B Tech Community College teaching in the Associate Degree and Continuing Education programs. He also served as the Director of the Center for Pre-hospital Medicine helping with the first academy program for EMT to Paramedic education for the Mecklenburg, North Carolina EMS which had a 100% pass rate on the North Carolina Paramedic exam. Steve also created the AAMS Medical Transport Educator Special Interest Group and served on the AAMS Education Committee for nearly 9 years. He obtained his undergraduate degree from Winston Salem State University in 2000 and his Masters in Health Sciences and Clinical Leadership, with Minor in Instructional Technology, from Duke University School of Medicine in 2002. Episode 19 of the Air Medical Today Podcast has been published. In this episode I interview Mike Biasatti, the Founder and Webmaster of EMS Flight Crew - a New Web Portal Serving the Air Medical Community. Mike is from Hayward, California and has his degree in Professional Aeronautics from the Emory-Riddle Aeronautical University. He started flight training at Helicopters Unlimited in 1989 and completed work at the Sierra Academy in 1994. Mike has over 4,000 flight hours in a helicopter which include the Bell 412, Bell 212, MD-900, B0-105, Bell 206, Hughs 500, Robinson22, and the Enstron F28A. Since 2003 Mike has been an IFR Captain with Air Methods Corporation, flying for San Antonio AIRLIFE, where he pilots their Bell 430. He had previously flown for PHI, Economy Rotor Aid, and Keystone and then was hired by Air Methods on the contract with Miami Children’s Hospital in 2002. Mike has been a board member of the National EMS Pilots Association since 2009 and has been the author of a several articles published in the Rotorcraft Professional and HeliOps Magazines. He started EMS Flight Crew in May 2009. 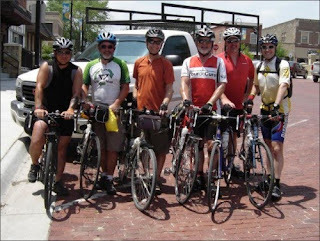 Episode 20 of the Kansas Cyclist Podcast includes an interview of David Williams who is the sponsor and faculty adviser for the Newton High School Student and Faculty Bike Club and who uses cycling as a means to better health and well being. We also check in with Brent Hugh, the Executive Director of the Missouri Bicycle & Pedestrian Federation, regarding the efforts to have the State of Missouri continue to fund the Tour of Missouri Professional Bicycle Race. David “Mr. Bill” Williams is a speech and debate teacher at Newton High School in Newton, Kansas. David has a really interesting and compelling personal story — he had been morbidly obese since elementary school, maxing out at weighing 370 pounds, and eventually it began to catch up with him with diabetes, alcoholism, liver disease. At this point, David made a decision to take control of his life. He stopped drinking and began to watch what he ate, the pounds began to come off, and when he added cycling on a stationary bike, he began to see real improvements. When he got bored with pedaling indoors, David took to his son’s mountain bike and began riding outdoors, and found he loved it. Eventually, David dropped more than 130 pounds and greatly improved his health. 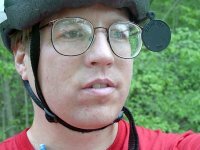 In September of 2008 he started the Newton High School Student and Faculty Bike Club, which is the only high school cycling club in the state. David teaches his students about bicycle safety and bicycle maintenance, and leads group rides on trails and streets in Newton. The bike club only officially meets once a month for rides during the last hour of the day, but there are many more rides that take place outside of school among students and faculty. It’s great to see a program like this launch in Kansas, and we’re hoping it proves to be a model for other schools — getting kids out on their bikes and promoting a safe, healthy, and active lifestyle. You can follow David on his blog, Cycling & CX, or contact him on Facebook or Twitter. In the “On The Scene” segment of the podcast, we get an update on the Tour of Missouri from Missouri Bicycle & Pedestrian Federation Executive Director, Brent Hugh. Brent’s been part of the Tour since the beginning, and no one is more knowledgeable about the race, or is a bigger fan. You can show your support for the Tour of Missouri by following it on Facebook, signing the petition, or, especially, by contacting Governor Nixon at 573-751-3222 or http://governor.mo.gov/contact, and the Division of Tourism at 573-751-4133 or tourism@ded.mo.gov. This post is copied and adopted from Randy Rasa's Show Notes for Episode 20 of the Kansas Cyclist Podcast. Episode 18 of the Air Medical Today Podcast has been published. In this episode I interview Dustin Duncan, Chairperson of the Family Grant Fund and Children’s Scholarship Program Committees for the MedEvac Foundation International. Dustin H. Duncan, RN, CEN, CMTE began his career in EMS as a volunteer Emergency Medical Technician while attending high school in south eastern South Dakota. As an EMT, he was exposed to air medical transport which ultimately played a large part in his pursuit of becoming a flight nurse. After three years of working in the Intensive Care Unit, Emergency Department and in a Burn Unit as an RN, Dustin became a flight nurse with Mercy Flight in north central Montana. Since Mercy, he has worked as a chief flight nurse, flight program manager, and interim roles as an Emergency Department Director in Montana and western Colorado. In January 2010, Dustin became the Clinical Services Manager with AirLink Critical Care Transport in Bend, Oregon. He currently serves on the board of directors for the MedEvac Foundation International and serves as the Chairperson of the Family Grant Fund and Children’s Scholarship Program Committees. Dustin previously served on the board of directors for the Association of Air Medical Services and the Colorado Organization of Nurse Leaders. Outside of work, Dustin’s free time is spent with his family and enjoying a passion for unique classic cars. This includes his fully restored 1956 Cadillac Ambulance that frequents many parades and car shows. I have not seen this gem in person but in viewing many pictures that he posts it is in mint condition. Dustin’s wife and two boys, 9 & 11, will be making the move to Bend later in May after school is out. Episode 17 of the Air Medical Today Podcast has been published. In this episode I interview Krista Haugen, Megan Hamilton, and Teresa Pearson who are the co-founders of the Survivor's Network for Air & Surface Medical Transport. Krista Haugen, has 20 years of nursing experience from working as an Emergency Room nurse at the Tacoma General Hospital in Tacoma, Washington and the Harborview Medical Center Level I Trauma Center in Seattle, Washington, and as an Intensive Care Unit nurse with the Harborview Burn Center and Pediatric ICU. She worked as a flight nurse with Airlift Northwest for six years from 2000 to 2006 where she was involved in a crash off the roof of St. Peter’s Hospital in Olympia, Washington in 2005. Krista is a 1991 graduate of the Pacific Lutheran University with a Bachelors of Science in nursing and the University of Washington - Tacoma in 1998 with a masters in nursing. She served as the Chair of AirLift Northwest Safety Committee, post crash, and is a recipient of the peer-nominated Airlift Northwest Fleetwood-Riebe Award in 2007, which recognizes the outstanding nurse of the year. Presently Krista is a traveling ER nurse splitting time between Hawaii and Seattle. Megan Hamilton has worked in the EMS field since 1993 as a first responder, Emergency Medical Technician, and as a Paramedic. She has worked with Baldwin, Kansas EMS; the Emergency Department at Stormont Vail Regional Medical Center in Topeka, Kansas; the Shawnee Mission Medical Center in Shawnee Mission, Kansas; American Medical Response in Topeka, Kansas; Yellowstone Park Medical Services in Yellowstone National Park in Wyoming; and St. John’s Medical Center in Jackson, Wyoming. Megan completed her Bachelor of Science in Nursing in 1997 from Baker University in Baldwin, Kansas and has worked as a flight nurse with StarCare Air Ambulance in Lincoln, Nebraska; ALERT Air Ambulance in Kalispell, Montana where she was a member of the Safety Committee; and REACH Air Medical Services in Corvallis, Oregon. Teresa Pearson is trained as an RN and Paramedic and became a flight nurse with EagleMed based in Hayes, Kansas in 2001. In 2003 she started at LifeTeam based in Great Bend, Kansas where she was a Base Manager for three years and Program Development Manager for an additional three years until August 2007 when she was involved in a crash. Teresa now flies part time with LifeTeam and is the Emergency Room Coordinator at the Clay County Medical Center in Clay Center, Kansas. She will be graduating from Tabor College with her Bachelors of Science in Nursing in May 2010 and will be starting in an Advanced Registered Nurse Practitioner program in the Spring of 2011. Teresa lives in Longford, Kansas with her husband Shane, who is a retired flight paramedic and is currently a Fire Fighter and a Mobile Intensive Care Technician with the Salina Fire Department. They have a blended family of 5 sons and 2 daughters between the ages of 23 and 8. Episode 19 of the Kansas Cyclist Podcast features an interview of attorney Alvin Wolff, Jr., who’s written a book called The Total Guide for Motorcycle & Bicycle Accident Victims in Missouri and the Seven Mistakes that Can Sink Your Claim. His law firm, Alvin Wolff Jr. & Associates from St. Louis, Missouri, specializes in personal injury, medical malpractice, wrongful death and work related injuries, but Wolff, who is an avid cyclist and former motorcyclist, has a special interest in cases involving bicycles. When someone is injured in an accident, she or he usually doesn’t have any previous experience on which to draw, to understand how to talk to insurance adjusters, whether to sign insurance company forms, or when to hire a lawyer. Every cyclist should have some familiarity with bicycle laws, and some sense of what they should do in case an accident does happen, and this is what’s covered in Wolff’s book, and what we discuss in this fascinating podcast interview. You can learn more at his web site at Alvin Wolff Jr. & Associates and be sure to check out his blog for frequent news and tips. You can request a free copy of The Total Guide for Motorcycle & Bicycle Accident Victims in Missouri and the Seven Mistakes that Can Sink Your Claim on his website or your can order the book on Amazon.com. If you’re involved in an accident on your bicycle, and you’ve been injured, you need to be aware of your rights and responsibilities. If you’re in doubt, get legal council, and if you’re not sure who to contact, Wolff can provide referrals to attorneys in your area with knowledge of bicycle law. This post is copied and adopted from Randy Rasa's Show Notes for Episode 19 of the Kansas Cyclist Podcast. Episode 16 of the Air Medical Today Podcast has been published. In this episode I interview Dr. Kevin Hutton, Chairman of the MedEvac Foundation International. Kevin Hutton is a practicing, Board Certified, Emergency Physician and the Founder, CEO, and Chairman of Golden Hour Data Systems, Inc. He began his career in 1980 as an ambulance driver then progressed into becoming an academic emergency physician, flight physician, air medical researcher, operational medical director, and the San Diego County EMS system quality assurance committee chairman. Dr. Hutton is recognized for his expertise in teaching, clinical research, privacy and compliance management, medical transport reimbursement, and the application of integrated information systems to transport medicine. He is a founding and past board member of the Air Medical Physician Association, Past Secretary and Board Member of Association of Air Medical Services, and the current Chairman of the MedEvac Foundation International. In 2006, Kevin was recognized as a finalist for the Ernst and Young Entrepreneur of the Year award for his creation and growth of Golden Hour Data Systems, Inc. He founded and grew Golden Hour, a company with 160 employees that provides air medical and ground transport services including integrated computer aided dispatch, transfer center integration, clinical charting, quality assurance, billing, collections, and data analytics. This is all done via Internet based on Software-as-a Service or SaaS, throughout the United States. Dr. Hutton has been awarded several US patents on these technologic innovations. Kevin was also the recipient of the Marriott-Carlson Award in 2008. This is the air medical industries highest award for individual contribution to the air medical community. He has been an invited speaker both nationally and internationally on medical transport reimbursement, medical transport research, and has been an advisor to the Japanese in the financing of their HEM-Net air medical network. Dr. Hutton is also the Medical Director of the Cat Cay Medical Clinic in the Bahamas and is a volunteer physician with the Aeromedicos bush pilots that operates a medical clinic in Baja California. Kevin has two sons, age 20 and 17, and lives in Del Mar, California. He enjoys sailing, snowboarding, and carpentry. Episode 15 of the Air Medical Today Podcast has been published. In this episode I interview Hayden Newton, the Chairman of the Association of Air Ambulances in the United Kingdom. I also provide an update on the Iceland Volcano and News and Information from the air medical community and industry. Hayden Newton is currently the Chief Executive of the East of England Ambulance Service NHS Trust where he was appointed in February 2008. 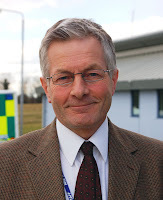 He was the former operational manager at Peterborough ambulance station before taking up a directorship with the Scottish Ambulance Service in 1988. Hayden returned to England as Director of Performance for the Bedfordshire and Hertfordshire Ambulance Service in 2000 and was then appointed Chief Executive of Kent Ambulance Service in 2003. After Kent, Hayden moved to a national post at the Department of Health leading the Call Connect initiative. Hayden has a post graduate diploma from the University of Glasgow in Management studies and is a paramedic. He lives with his wife and son in Cambridge.